How will you handle authorization and access while ensuring data security? What happens if a branch loses connectivity to the cloud? Can you deliver the same high-quality experience on any device—including for demanding apps? Do you have a simple way to handle the solution’s more frequent updates? 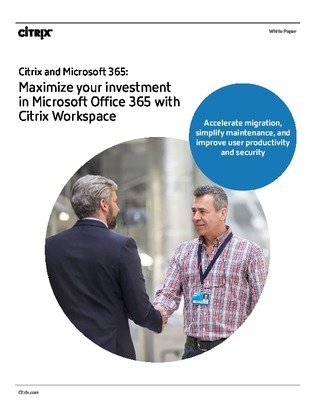 Download this resource to find out how a unified workspace management platform can help you simplify this initiative with an integrated approach to cloud, mobility, and application delivery requirements, to ensure a seamless transition.